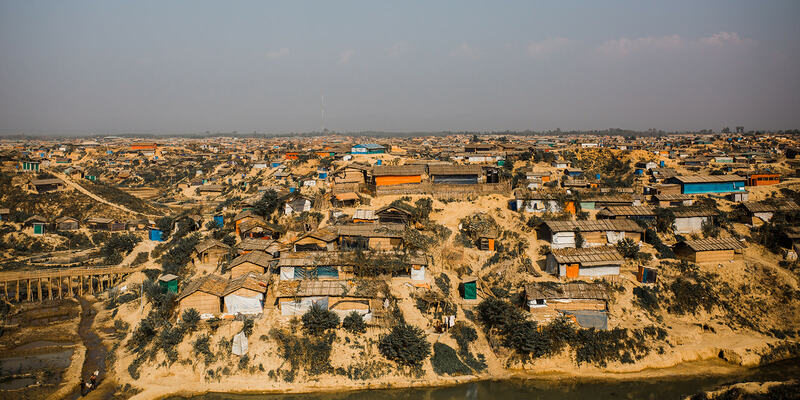 The green, three-wheeled taxis drove confidently into the sloping west side of the Kutupalong camp in Bangladesh. My daughter, my team and I drove passed large food distribution centers and a few elephant watch towers until the thick dust slowed the taxis to a halt and insisted on lighter loads. My daughter and I were prepared for one thing as we entered that day: despair. We had read about the Muslim Rohingya and their escape from Myanmar into Bangladesh. 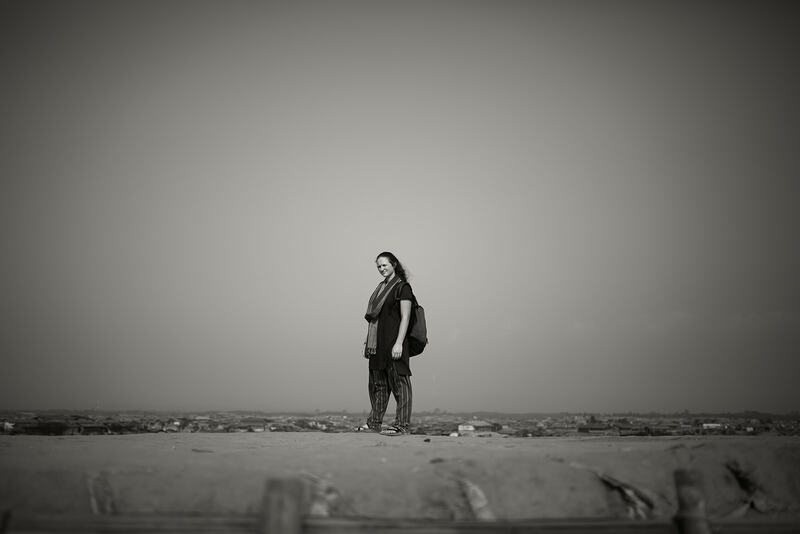 We had seen the photos of mud and sadness and the Google map of thousands of houses laid side by side by side. We knew the numbers hovered around one million but couldn’t imagine what that number would look like on the ground. How does one prepare for a visit to a refugee camp? How do you ready your teenager for such an experience? A kind young man was assigned to be our tour guide for the afternoon because of his ability to speak English, along with four other languages. You could say Faruque* was very smart. 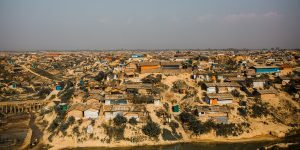 He told us of his previous life across the border and of the day his Buddhist neighbors ran to his house, yelling for them to leave quickly because of the military force sweeping the area, burning all Rohingya homes. He and a brother fled on foot, stumbling through thick jungle and swimming across rivers for seven days until they crossed the border and found themselves safe in a foreign country. He tells us of his parents, still in their village, thankful to be alive but required to pay bribes to the army. Faruque sends all the money he can back to the village for his parents. He misses them. His voice turns soft when he talks of his mom. “She is my encouragement, my girlfriend, my everything. I miss her so.” Faruque’s story left us wide-eyed. But it was a common one in the camp. Conversations with the camp’s long-term workers concluded with a sad diagnosis: trauma, a million strong. When you are forced to run for your life, not knowing how your family and friends are faring, the agony and stress take their toll. 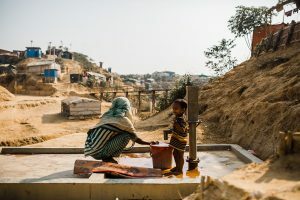 It will take time for the emotional healing to come and, like apartheid in South Africa, it may take a lifetime to recover from the decades of discrimination and religious persecution the Rohingya have endured. My daughter and I walked passed rows of houses built of bamboo and tarps, donated by Turkey. We walked passed donation centers brought in by a dozen organizations from around the world. 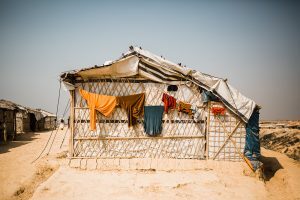 We noticed colorfully painted buildings labeled “Learning Centers” and heard children’s voices reading in unison from the Koran as they attended make-shift school. We stepped inside one of the dozen medical clinics. The camp is becoming more organized as time goes on and jobs are becoming available. Small snack shops and fresh markets have cropped up beside the narrow roads. We passed a group of men squatting together, whittling bamboo into stakes to reinforce the dirt steps snaking up and down the camp. Terraces were being built, trees were being planted, money was being earned. Sadness might still be thick in the air, loss may still be their song, but if we listened carefully, a tune of hope was humming in the background, begging to be heard. These resilient people know how to endure. I walked into that camp with my daughter for a few reasons. My girl has been dreaming about pursuing a nursing degree after finishing high school. “I could go anywhere and help anyone,” she says. What an opportunity for her to sit in a tiny clinic and watch a nurse practitioner examine a lady’s swollen jaw, find an infected tooth and prescribe antibiotics through an interpreter. What a gift! The other reason I walked into that camp was for you and me and every parent trying their darnedest to raise good humans. I visited on behalf of all of us. I want our kindergarteners and our high schoolers to know this exists. Why? Because I think so highly of both the Rohingya and our own offspring. Our kids are smart and influential. They have the capacity to feel the pain of others and then use their power and their possessions to bring about change. When our powerful kids put their heads together with the powerful kids in the Kutupalong camp, and anywhere else they have the chance, great things can flow out of those relationships. As I tell the stories of the Rohingya to my children, they have the opportunity to see a broader world and affect change. I believe that the prayers of our kids are powerful. I believe that their ideas are powerful. I believe that their birthday money is powerful. I believe that the relationships they form are powerful. 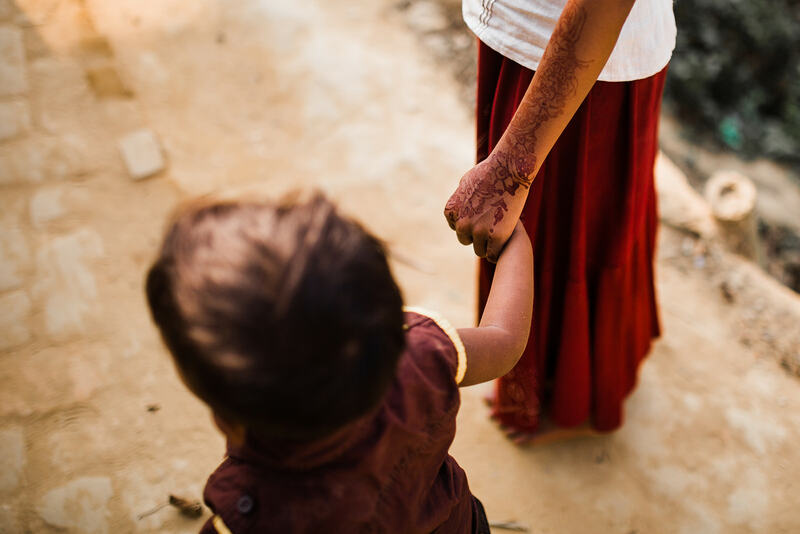 All of our kids deserve the beautiful opportunity to stretch their hands towards their brothers and sisters across the globe and value them as the beautiful people God created them to be. The God I know cares deeply about every act of injustice that happens. Over and over, the Scriptures tell us about his love of justice and his heart for the vulnerable. If you are a person of faith like me, we are called to care deeply about injustice as well. As parents who are raising kids to have faith, we are called to teach our kids about injustices and show them how to respond. Parents, we can do this! We are capable of navigating these weighty conversations with our kids. We have what it takes to wade into the hard truths about refugees and persecution and racism with our kids. Imagine a generation who grew up with the knowledge of both injustices and their power to create change. Dynamite! Let’s set our world changers on fire with the love of God and the desire for all to be equal. Watch for a family prayer guide for the Rohingya coming soon! Sign up here for the guide and future posts. Photos by the amazing Adrienne Gerber.